Are you interesting? Don’t be. Quick note: You can also read more on this topic at PRCog’s Gear Grindings blog. It’s not often I get really fired up over a few tweets, but when I saw some of the stuff coming out of Michigan’s 2010 PRSA conference on April 22, I reached for the blood pressure cuff. The event, titled “PRevolution: Creating Stability in a Shifting Landscape,” featured Peter Shankman as one of two keynote speakers. Shankman is well-known as the founder of HARO (Help A Reporter Out) and CEO of The Geek Factory, a boutique marketing and PR strategy firm. A college professor of mine once told me to not use the word “interesting.” I asked him why. He said it was a boring word. It stuck with me to this day and when I read that tweet, I thought of my old professor. I also read that quote and knew it was bunk. People don’t follow you on Twitter because you are interesting. They follow you either because you provide value or they trust your opinion in a given field. One of the things I always say to people who are following me is: “I hope you find value in my tweets.” If I’m not valuable, they are going to drop me like a bad habit. Don’t be INTERESTING… be VALUABLE. This was another gem of a statement. There are tons of “normal” people on Twitter (is Ann Curry abnormal?). 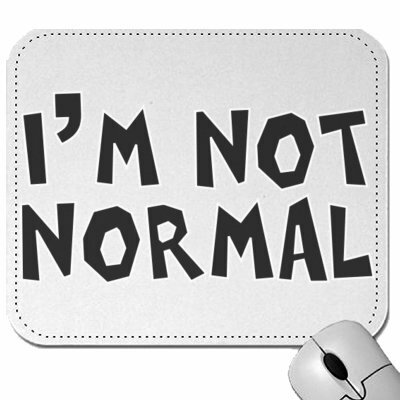 But because they are “normal,” these people will lose followers since they are just like you and I. That is BOGUS. You lose followers when you don’t provide any value. I follow people who are in my field that I admire and trust. But I also follow folks I used to work around in television and radio. I don’t want gibberish. If I did, I would follow Perez Hilton and the others like him. I want real people and honest information. That’s normal and it’s fine with me. Want to know what “filler” is? It’s the 20 second video on your local newscast of little Tommy’s elementary school class getting a visit from the station’s weatherman. Then they toss to said weatherman for the seven-day forecast. I worked in television and radio for a long time. I can tell you that news is VERY relevant, despite the lower ratings across the board for the big three’s 6:30 p.m. newscasts. Take for example the crash of U.S. Airways flight 1549. Yes, the story blew up in social media circles. However, it was all over network AND cable news outlets. We watched passengers being rescued from the icy Hudson River waters on live television. That’s not breaking news? What about the earthquake in Haiti? I guess that wasn’t relevant when networks sent their main anchors to the disaster zone. You don’t need breaking news to make it watchable. You need solid stories, good reporting and savvy news executives who get the changing broadcast medium. Look at Shepard Smith on Fox News Channel. Regardless of what you think of Fox’s style, “The Fox Report with Shepard Smith” has become one of the most watched newscasts on cable (the channel’s “Special Report with Bret Baier” is often the other). This past March, it even set a viewership record. In the future, I would hope that Mr. Shankman considers doing more research into his statements. His opinions on the news front are the same tired argument I’ve been hearing for over ten years. As far as his social media views (i.e. Twitter followers), I’d expect something more intelligent than to be “interesting.” My debt to my followers is to respect them and not insult their intelligence. Maybe that’s not interesting enough for Mr. Shankman though. Posted on April 26, 2010, in Hot Topic, Media, Public Relations, Social Media, Uncategorized and tagged CNN, Flight 1549, following, Fox News, intelligence, Jason Mollica, MSNBC, news, PR, PRSA, Public Relations, respect, retweet, Twitter, U.S. Airways. Bookmark the permalink. 6 Comments. Great points here. You make a very solid point about being interesting vs. being valuable. In this situation though, couldn’t you define both of those as being the same thing? I guess it’s a bit of semantics, but I totally understand your point. Just because something holds my attention does NOT mean it is valuable to me. Don’t consume “empty calories” in your daily knowledge intake. In their quest for more followers (because having lots of followers equals relevance apparently) many folks forget to give us more than intellectual cotton candy. I don’t need the best information every single time I open Twitter, but I also don’t want to eat the funnel cake equivalent of information every single time either. I see where you are coming from semantically. From my perspective, I see being valuable meaning more than interesting. You are right, we don’t always need (as you said) the best information. But, I do want a return on my time when I follow. I’ve seen things retweeted that absolutely baffle me. Is that value? No. Seems to me that your comments on value vs. interesting is much ado about nothing. This is partially due to semantics, and partially dependent upon the context in which the statements are being made. You can be interesting with or without providing value, but many would say that “being interesting” is what is valuable to them. You can be valuable with or without being interesting, but again it’s all in how you define the terminology. In regards to context, let’s say for a moment that there are 100’s of people out there who provide “value” on the same topic. You have to choose which to follow, which of them would you follow? I would assume if some of them are also “interesting” that would make the difference in that decision. So perhaps the context in this case is “how do you stand out from a crowd when you’re all spewing the same thing?”. Being “interesting” certainly makes a lot of sense in that context, and that context is bolstered by the next statement regarding being ‘normal’. The notion that news has to be breaking to be value however I would tend to agree with you that that is not the primary qualifier. However, I have no context in which original statement was made to know for sure. Welcome to the blog! I understand where you are coming from on value vs. interesting. Sure, it is a sort of semantic argument. Interesting, to me, is a generalized term. When I read or see something of value, though, I want to read more. Thank you for your comments. I’m glad to have your perspective.